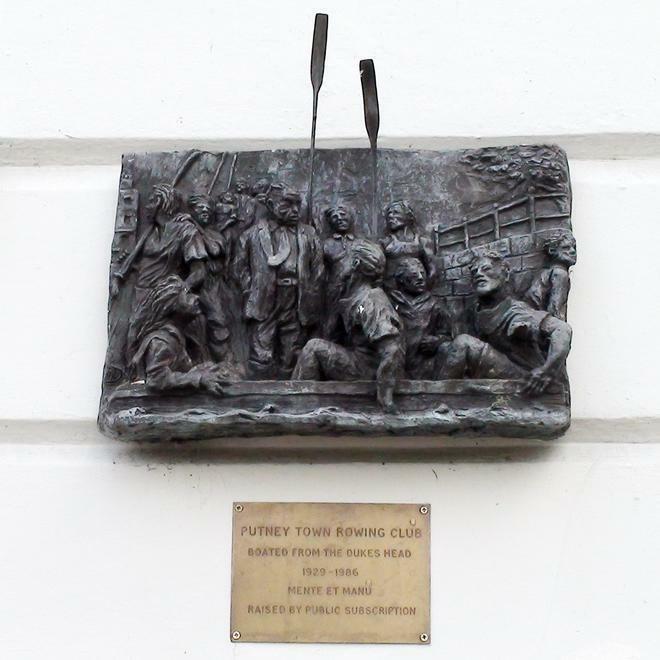 Putney Town Rowing Club boated from the Dukes Head, 1929 - 1986. When we published this in January 2012 we asked for help in naming the sculptor. Mick has kindly contacted us himself, and October 2012, writes: “Dear me - am I forgotten already? 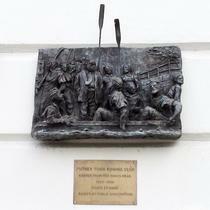 The Putney Town plaque was made by me, it’s not bronze but resin bronze, we couldn't afford it. It was undraped by a Putney Town Henley Wyfold IV's finalist [twice: 1957 & 1958] the first working man’s club to do so. His name is Jim Cobb, a professional waterman. It was followed by quite a few beers in the Duck Head, followed by the ubiquitous curry, a grand day. I was Putney Town member for nigh on 37 years with the occasional rowing at other clubs. One of our most famous victories [then] was at the Kingston Grand Invitation VIII's in 1977-8 - we were all hung over. Kingston didn't like it & changed the rules, again good days. I don't think the bas relief is all that good & I would like another go at it, unfortunately I am past it. Hope this puts a better light on this subject. Sincerely Mick Donovan”. Rower. Putney Town Henley Wyfold IV's finalist [twice: 1957 & 1958].